Obstacles are the stepping stones of life. To a younger mind, most obstacles are seen as problems that prevent us from getting what we want. Or worse, blocking our vision for our future. What if each obstacle is there so we can recognize it and face it, rather than avoiding or wishing it away? What if this is the opportunity to look at the struggle we are feeling and bring a new perspective and understanding? What if this will bring you closer to a future that is right for you? What if this is the gateway to real growth in our adult lives? 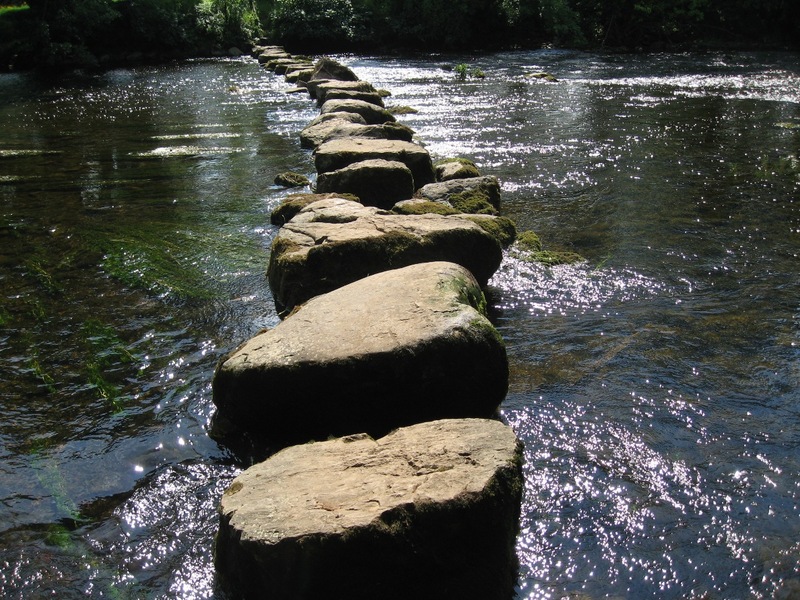 When we place our foot firmly on the stepping stone, and then the other, we can find our balance in uncertainty. Stepping forward with awareness and readiness takes us along the path. Embrace the discomfort and the growth that is to be revealed. This is a wonderful way of looking at life. Reminds me of the saying: “Nothing great is easy!” Lovely post, Val. Amazingly penned dear 💕 some life situations are just there for us to face and not to avoid…. Those challenges makes us who we are. Yes! Val ❤ I am finding it is so important to embrace it all! There are lessons and gifts and our job is to be in each moment and understand them for what they are!! Sending lots of love and light to you. I hope that you are well! It’s helpful to see obstacles and challenges as opportunities for growth, rather than as permanent impediments to our happiness. We do learn by struggling to overcome obstacles. And, it’s always a good feeling to get past one.